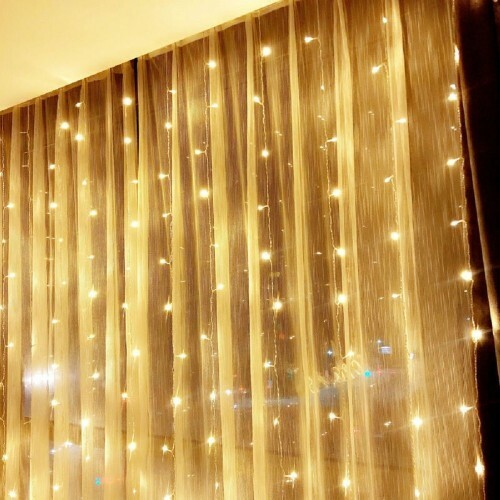 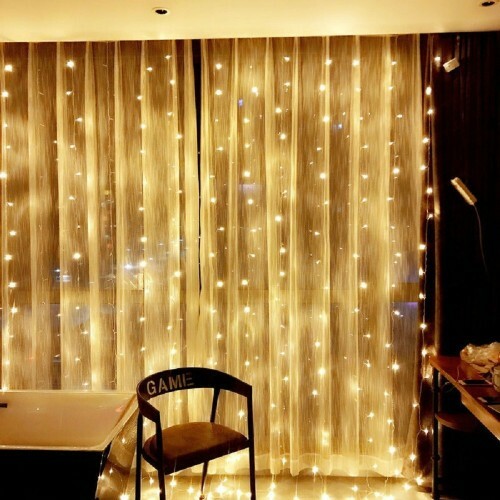 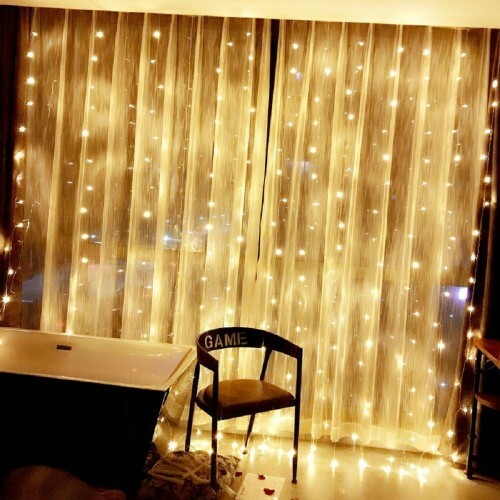 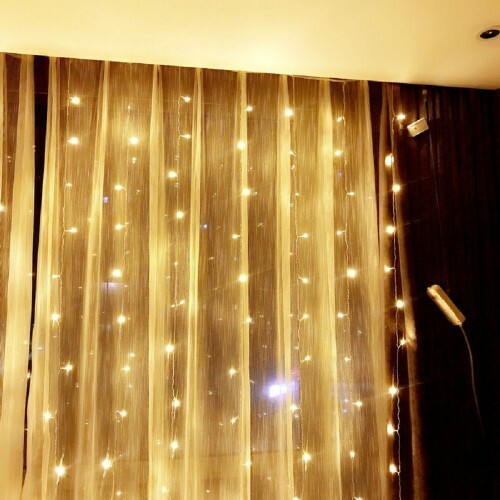 · 29V UL LISTED, SAFE TO USE: This Curtain fairy light total have 304LED small lamps each set, unfold size is 9.8ft x 9.8ft (Length x Width) direct output 29V (safety voltage), UL certified, so that the lamps can be safer than the regular version. 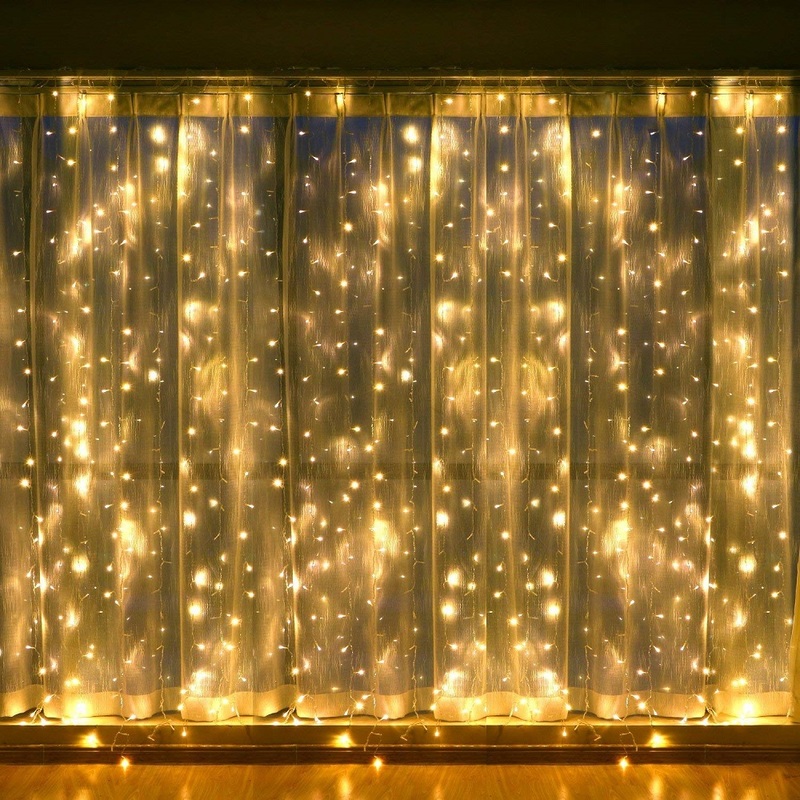 · 8 DIFFERENT LIGHT MODES: Combination, Wave, Sequence, Slow, Chase / Flash, Slow Down, Flashing / Flashing, and Steady Light. With just one button you can control different lighting effects. 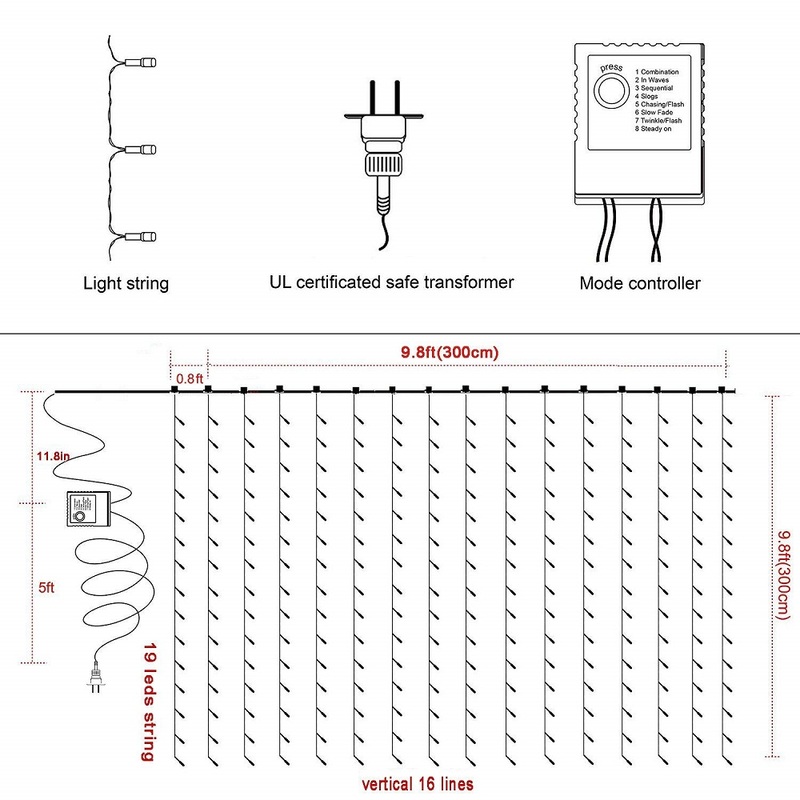 · WATERPROOF: The wires and lamps are IP44 waterproof, it can use outdoor or indoor, but the controller and plug are not, you need to do some protection. · WIDELY USE OCCASIONS: Parties, weddings, home, windows, bathrooms, performances, restaurants, hotels, vacations, commercial buildings, shopping malls, Christmas tree etc.